What are the best new PC games 2019? Perhaps you have just been paid, bank account fat with virtual dosh, or you simply want to get caught up with the latest PC games because they are, well, new and shiny. It is all well and good starting another daring round of PUBG, or yet another The Elder Scrolls V: Skyrim save file but, as much as we love setting mammoths ablaze, there are plenty of the latest PC games that will more than supply your gaming fix. You don’t want to be the person who isn’t In The Know now, do you? These days, new PC games pour onto Steam at a dizzying rate, making it impossible to keep up with them all. In fact, to make sense of them all, we have to put a list together of the upcoming PC games that should be dinging on your radar. Thankfully, us kind folk at PCGamesN have separated the wheat from the chaff when it comes to recent PC releases, too. Below you will find the new PC games for which you should be saving your pennies. ‘TAKE THAT!’ we regularly find ourselves yelling at our monitors as we marginally beat the odds in games like Sekiro, Celeste, and Dear Esther. Now, however, we have a hotshot lawyer to do it for us. 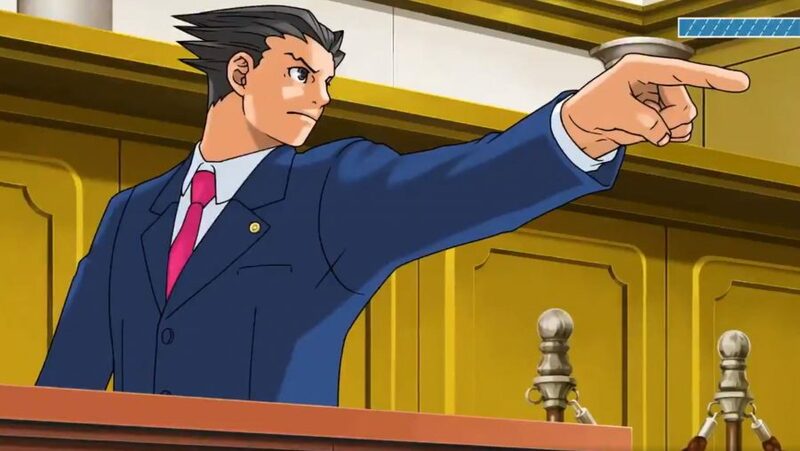 Phoenix Wright: Ace Attorney Trilogy sees this anime game series finally make its way to PC to let you live out your inner solicitor. 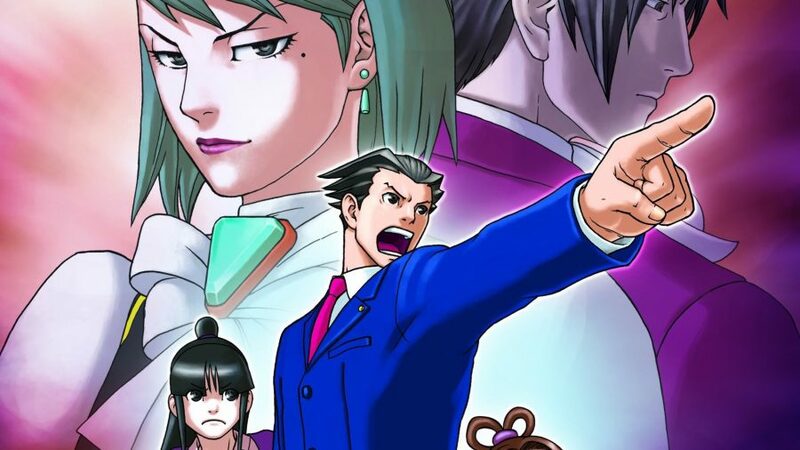 This package bundles together the core entries to the courtroom soap opera and, as you’ll see in our Phoenix Wright Ace Attorney Trilogy impressions, that’s something to which we have absolutely no objection. For newcomers to the saga, this new PC game lets you live out your dream of basking in the delightful melodrama of a court of law. After diligently scouring the crime scene and leaving no stone unturned as you quiz witnesses and suspects, each case climaxes in the imposing legal arena where criminals are sent packing and legends are made. With each narrative is full of bubbly characters mired in narratives full of twists and turns, we’re off to grab our gavel. In the era of the political strongman, the cigar-puffing El Presidente fits right in. 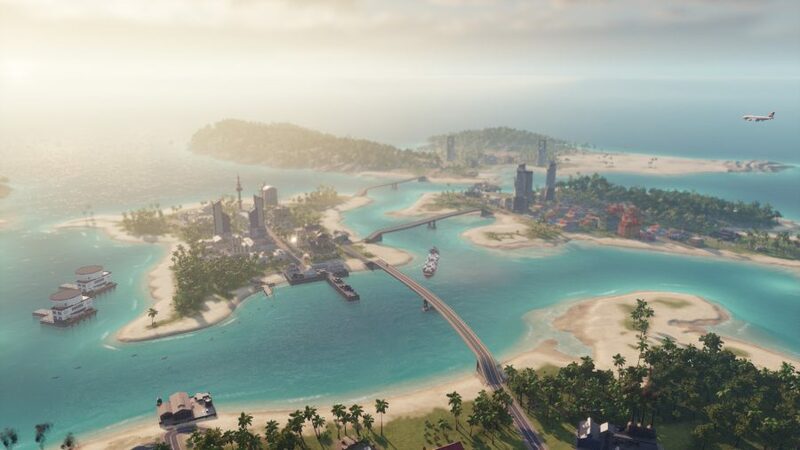 Yet, while the world outside this enduring management game series has transformed at a staggering pace, Tropico 6 is more of an iterative update. That said, the archipelagos on which you’ll build your banana republic/penal colony/settlement plaything are larger and prettier than ever. But, as we conclude in our Tropico 6 PC review, that’s no bad thing for this new PC game. As ever, you’ll be guiding your population through the bureaucratic chaos that is national politics as a terrifying dictator, pacifist peace-lover, or something in between. That means you’ll either altruistically give all your money and time to the people or use all that to furnish your preposterous palace and give endless self-indulgent speeches from your balcony. In the end, power corrupts, and the power to fill your home with legions of life-size ice sculptures corrupts, absolutely. Often the problem with co-op games is that your friends need to own the game, too; you’re going to need to persuade them to part with their cash. Developer Hopoo Games addressed that with Risk of Rain 2’s surprise launch on Steam: buy one copy on launch day and gift a second to your friend. This inspired idea ensured that this co-op roguelike sequel hit the ground running as teams of up to four joined together to fight hordes of colourful monsters, hoover up loot, and escape this perilous planet. 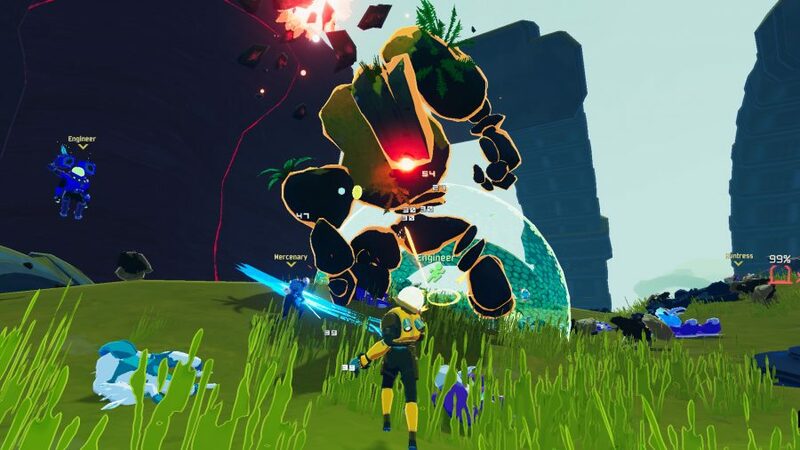 Fans of the original will adore the switch to multiple dimensions; Risk of Rain 2’s shift to 3D is a roguelike revolution. However, this remains a punishing new PC game that randomises stages, enemies, and bosses. With time, though, you’ll master this smooth, colourful world as you unlock more survivors by completing challenges. With that in mind, make sure you consult our guide on how to get the final character, Risk of Rain 2’s Artificer, and on how to access the Abandoned Aqueduct hidden chamber as part of the Death Do Us Part mission. Prepare to die is a phrase we’re used to when it comes to the notoriously challenging FromSoftware games, but that’s a little different when it comes to their latest pad-smashing outing, Sekiro: Shadows Die Twice. Here, as an injured warrior tasked with protecting a young lord with plenty of nightmarish enemies, you can resurrect right where you die. There’s a cooldown for this ability but, this time, you lose half your progress towards your next skill point on death without resurrection, and you can’t return to the place of your demise to get it back. This is one of the reasons why, according to our Sekiro review, Shadows Die Twice is the toughest ‘Soulsborne’ game since 2009’s Demon’s Souls. That said, most determined players reach a point where they unlearn their defensive proclivities from Dark Souls and their offensive instincts from Bloodborne. Only then does Sekiro click with them. In the end, like the best games like Dark Souls, Sekiro is hard, but never unfair. Whatever your stance on the relative difficulty of FromSoftware’s samurai game, there are ways to use cunning to turn the tables on the evil Ashina clan – in fact, this is actively encouraged. You can use stealth to thin mobs that swarm around a boss, or take advantage of the many Sekiro Shinobi Tools you can attach to your Swiss Army knife of a prosthetic arm. 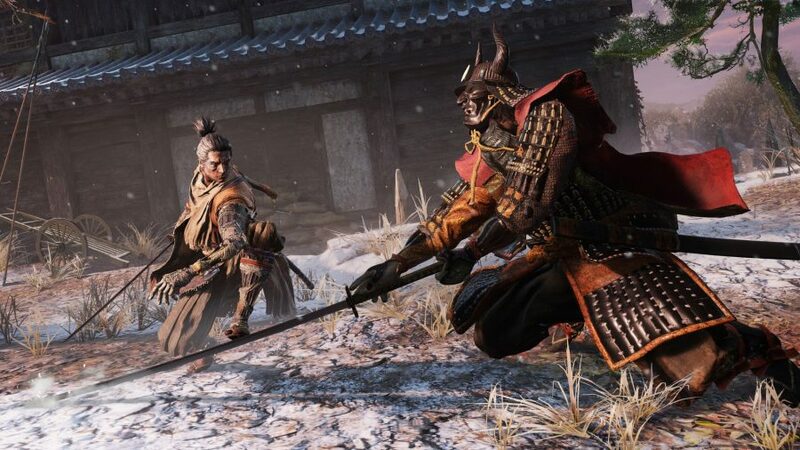 Whichever playstyle you choose Sekiro: Shadows Die Twice demands nothing short of utter devotion if you want to master it and fully conquer its intensely dark brand of Sengoku Japan. Massive Entertainment did the unthinkable when releasing looter shooter The Division 2 last week. That being, creating a follow-up that learnt from the mistakes of its predecessor while still advancing the series forward. From a meaningful endgame grind to a city stuffed with potential loot, two-years worth of patches and updates from the first game is reflected in earnest in the Ubisoft’s latest produced follow-up. This time around you’ll touch down in America’s post-apocalyptic capital city Washington. Despite being absolutely ravaged in aesthetic, however, Washington still brims with life. 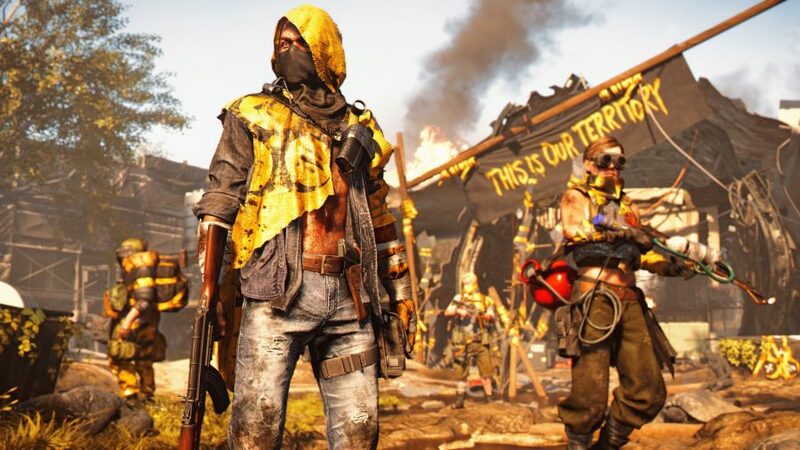 As Jordan tells us in his The Division 2 review, “Raccoons pick through bins, deer spring through the streets, and clusters of survivors can be spotted gathering supplies or battling hostile factions.” Quite idyllically, though, all this goes on without you – freeing you up to partake in some post-apocalyptic tourism. Aside from that, all your favourites make their return, from the tense who-will-betray-who of the Dark Zone to the more team-oriented tasks of raids. Either way, if you loved what The Division became or missed out after checking out early, The Division 2 is a wisely-crafted follow-up that’ll appease either of those appetites. 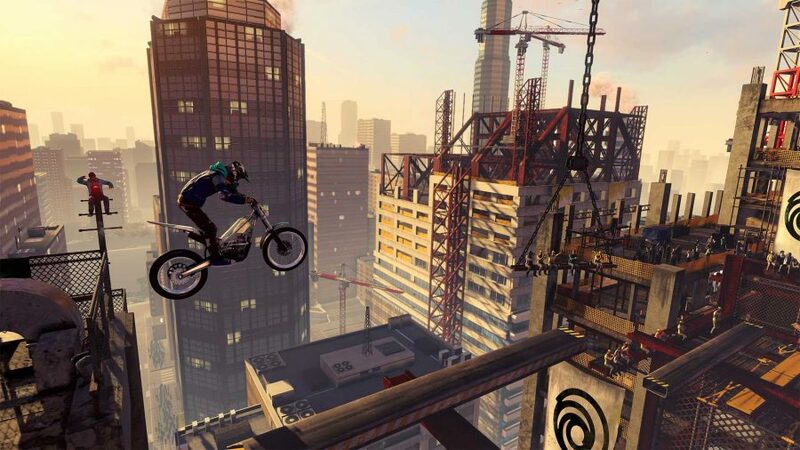 As you’ll see in our Trials Rising review, this is the most complete game in Ubisoft’s mad motorcycle series. Its University of Trials tutorial system – inspired by the know-how of YouTuber Professor FatShady – is more comprehensive than ever and the creative tools are bulging at the seams to ensure that user-generated levels will keep you locked to the track indefinitely. And, with a friend, taking control of each half of a tandem bank and backflipping off the Eiffel Tower amounts to wonderful chaos. Once you’ve zoomed through the fireworks and pomp of the stadium that blasts you into your globetrotting journey, you’ll see how full of life Rising is. Legions of fans now cheer you on as your perform increasingly-impossible two-wheeled feats. You pick contracts that range in difficulty set all over the world in a non-linear departure from Trials campaigns of old, but you’ll need to grind extra-curricular contracts to get to latter levels. It’ll take time but completing a level in pitch darkness with only the light of your wheels – which, by the way, are on fire – is quite the ride. 4A Games’ Metro Exodus is a blend of numerous elements focused into a singular and sweet experience. As Harry explains in his review, Metro Exodus brings together the craft-focused stylings of a survival game with the chilling atmosphere of the best horror games. Not content to stop there, Metro Exodus is an uplifting character study at heart with a bit of Wolfenstein’s FPS thrills thrown in for good measure. 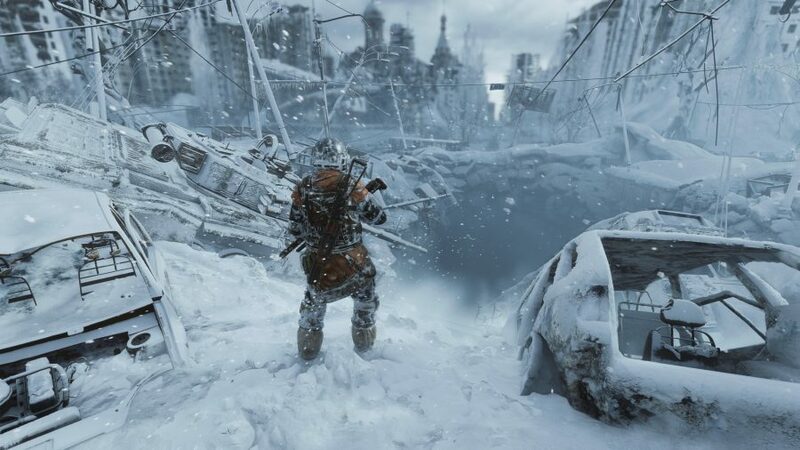 Metro Exodus’ story picks up after the events of Metro: Last Light’s “Redemption” ending and places you in a post-apocalyptic Earth ravaged by nuclear war. You’ll find yourself in the familiar shoes of Artyom, who is fleeing the Metro in Moscow across the continent to the far east where he’ll face unfamiliar terrors. There’s something a bit different about Ubisoft’s Far Cry New Dawn. Set in Montana, its inhabitants are free to roam fields of flowers that burst in shades of pinks and blues alongside animals bathed in warm sunlight. The image is quite the contrast to the scenes of nuclear war that forced them into bunkers only decades before. The citizens of Montana do, however, wander those hills without a centralised form of government – which has birthed new communities where marauding Highwaymen plague farmers. It’s a visual change for sure, but one that strolls hand-in-hand with a mix-up of the systems we’ve come to accept in the Far Cry series. 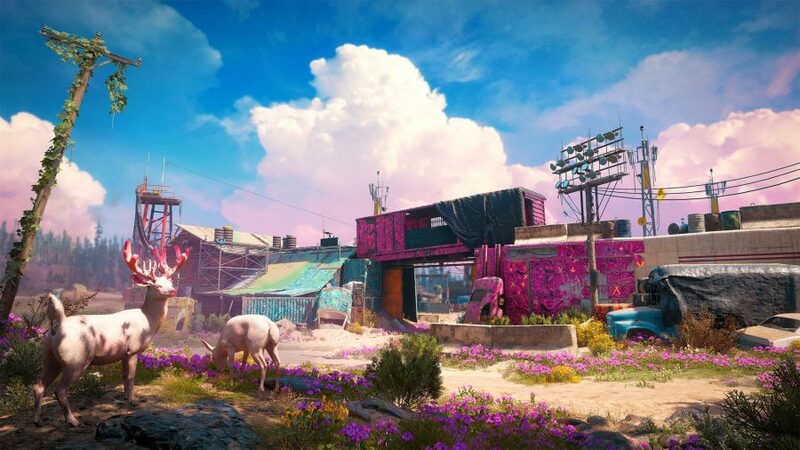 As Julian points out in his Far Cry New Dawn review, most open-world games task the player with taming a world gone wild. Far Cry does indulge in that tradition by tasking you with taking outposts and sentry points from the enemy, but then does away with it by giving you the ability to hand the land back over. It may sound odd at first, especially as enemies will fortify their bases to greater effect, but it’s a tweak that accepts that Far Cry is the most fun in improvised chaos, not controlled moments. There you have it, the new PC games you should be playing right now. Now, we’ll admit, we were being a little facetious earlier: new PC games aren’t necessarily the cream of the personal computer crop. For that, you should swing by our list of the best old games for the classics and the best PC games of all time. While it’s important that you keep up with the new PC games we have listed, you are missing out on some of the most memorable gaming experiences around from previous years – and they’ll likely be a lot cheaper by now, too. We feel for your growing pile of shame.